During my search for available boy dolls, I had come across several blogs and articles about moms who had also felt my boy doll struggle, and decided to make their own boy dolls out of American Girl dolls or American Girl type generics. 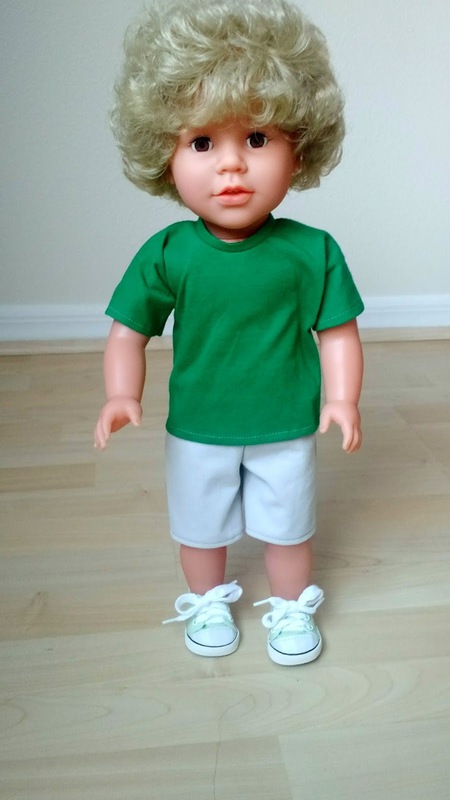 I then started coming across Ebay listing for "American Boy Dolls." Doll artists (and they are artists... 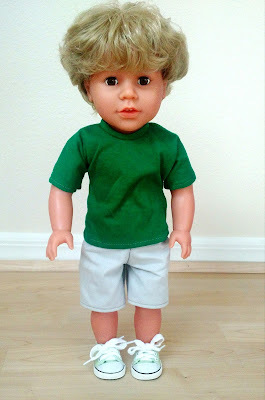 I did eventually make my own boy doll out of a "well loved" AG doll just to see if I could. [I will write a post on that process soon] It was not easy.) have found a niche market and are charging anywhere between $130-$160 for their custom made boy dolls. Too much mullah for me... so I started looking at the AG generic type dolls: Hoping to turn them into a more affordable boy doll. The dolls I was looking at run anywhere from $27- $40. (Though I did recently find AG style girl dolls at Michael's for $21.) I started calculating costs in my head. I would have to buy "boy" doll clothes off of Etsy or Ebay. Another $15 - $20. I would have to also buy boy doll shoes. Another $5 at least. I would then have to learn how to remove the "makeup" look the girl dolls have without damaging the doll itself. Plus buy whatever supplies/ tools that entailed. I started getting frustrated. Why couldn't I just buy an affordable boy doll? Why was this becoming so complicated? I kept thinking, "There has to be something. Maybe not something as well known as American Girls. But something!" Thanks to a search on Facebook and a random public post by a woman I don't know (I wish I could find it again so I could thank her!) I found My Sibling Dolls. Cute "American Girl" style boy dolls priced at...$54.99 - $59.99. I think I about jumped for joy. I quickly ordered my son's doll (super late at night by the way) and went to bed. The doll shipped a couple of days later and was at my house within the week. He is adorable, durable, and a great value. I love his rooted hair (no wig here) and cute expression. He's completely posable with a soft body and sleep shut eyes. But wait. It gets better. Not only did I get a well made boy doll and fast shipping... I also ended up supporting a great cause by purchasing the doll. Loretta, the woman who owns and created My Sibling Dolls, uses her business to help raise awareness about the lack of services and resources there are for adults and teens with autism and other developmental disabilities. She also has expanded My Sibling Dolls in order to create a work experience program for adults and teens with disabilities. Because of Loretta and purchases made through My Sibling dolls, adults and teens are able to gain real life work experience through dressing, packaging, and accessorizing dolls. So in the end, I felt that not only had I dug through the internet and found this wonderful hidden gem, but I was also helping to create opportunities for others. 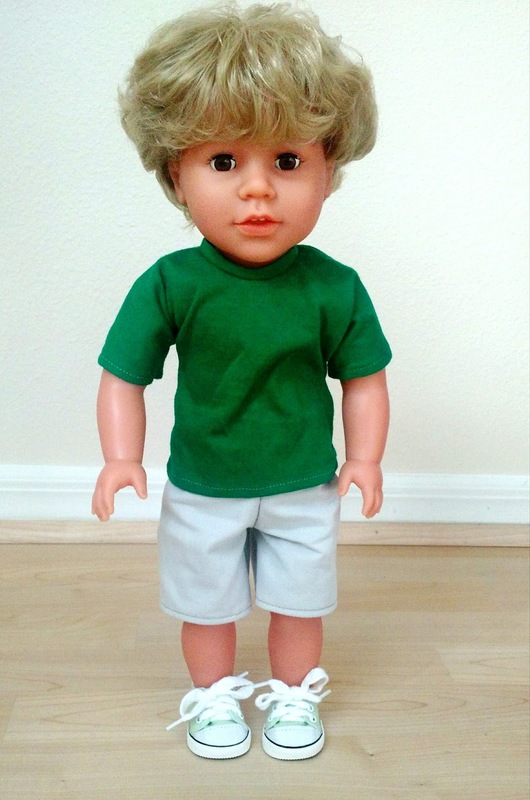 Visit My Sibling Dolls to learn more or to purchase your very own boy doll. And help spread the word to ease the frustrations of the boy doll struggle and support a company with a terrific purpose.